Animal welfare education is extremely efficient in helping society improve the living conditions and treatment of animals. Providing a knowledge solidly based on science transforms the way society handles and cares for animals. 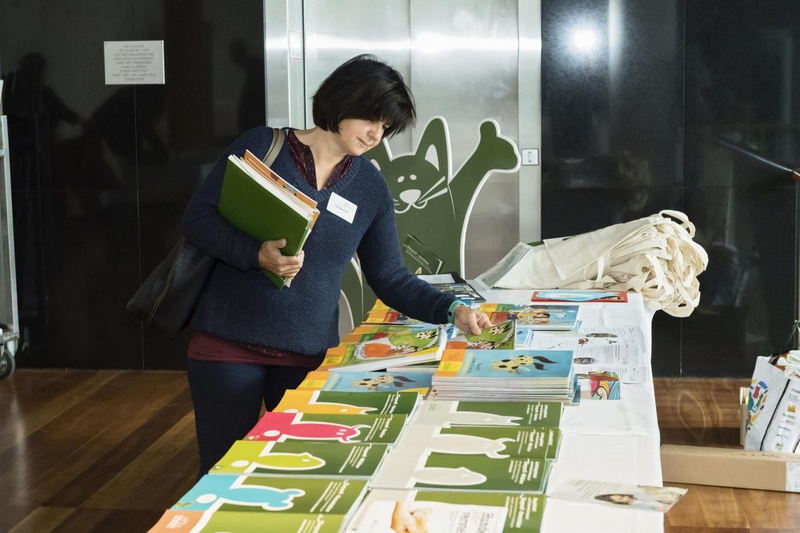 From the outset, "Tierschutz macht Schule" has striven to be a strong voice for animal welfare education in Europe and worldwide: educational establishments order our materials and consult our staff as experts for animal welfare education. We are a unique success story in this area and are considered a role model in many countries. On 7th and 8th May 2006, we hosted the international workshop “Tierschutz macht Schule – Schule macht Tierschutz!“ in partnership with Schoenbrunn Zoo in Vienna. An official document dated 6th August 2009 emphasises the importance attached to the cooperation between the Austrian Ministry of Health and the European Commission’s Directorate-General for Health and Consumers (DG SANCO) for raising awareness for animal welfare issues in the population. 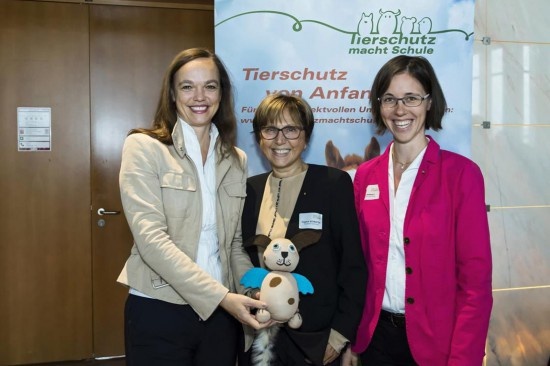 This document explicitly mentions the success achieved by the Austrian animal welfare project “Tierschutz macht Schule”. In the report, the EU commission suggests building a network of centres of excellence for animal welfare in Europe and advancing the knowledge transfer on animal welfare issues. 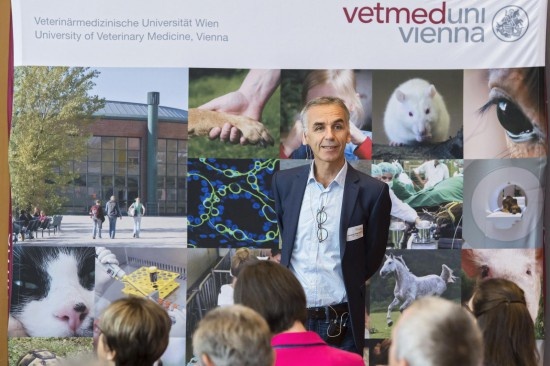 As a pioneer in European animal welfare education, “Tierschutz macht Schule” in Austria would be part of this network, but also play an active role in developing it and acting as one of the centres of excellence for animal welfare education. 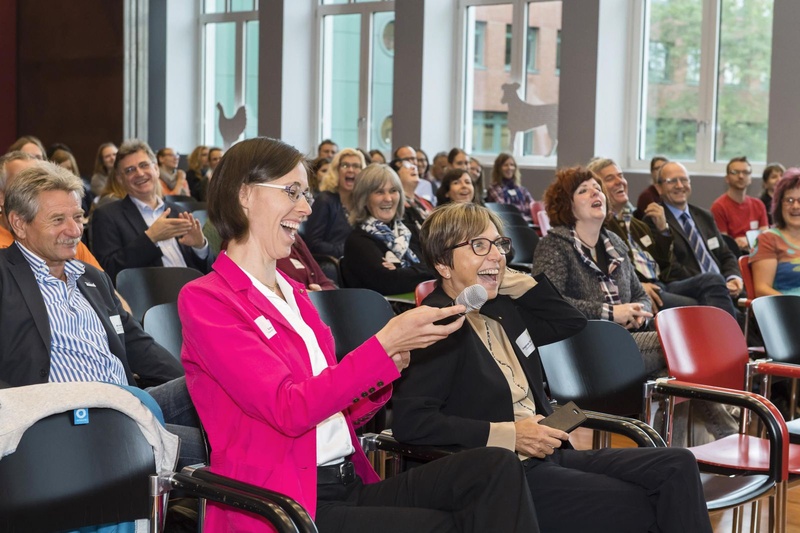 To this effect, “Tierschutz macht Schule” has prepared and presented a concept for DG SANCO, entitled ANIMALEUS. In 2010, we took a further step forward in partnership with the Ministry of Health, the DG SANCO’s Animal Welfare Unit and the Erna-Graff-Stiftung für Tierschutz (Berlin): experts from across Europe were invited to Vienna to attend the restricted workshop “European Animal Welfare Education” – Quality Standards in European Animal Welfare Education on 10th and 11th May. In addition to establishing European quality criteria in animal welfare education, the aim of the conference was to start building the proposed European network for animal welfare education. On 1st and 2nd October 2010, an international conference on animal welfare education was held in Brussels – the first one at EU level. “Tierschutz macht Schule” was represented in the conference steering committee, and we gave a talk introducing the association, the practice of animal welfare education and the need for a European network in this area. The participants showed great interest in our association’s concept and materials. Many came to our stand later to discuss how to introduce similar programmes in their own countries or to propose a cooperation. With around 400 participants, the conference sent a clear signal for animal welfare education and the need for international cooperation. In 2012 the European Commission presented its new animal protection strategy 2012-2015. Encouragingly, this strategy provided for a study aimed at establishing an inventory of all animal welfare education activities in Europe. 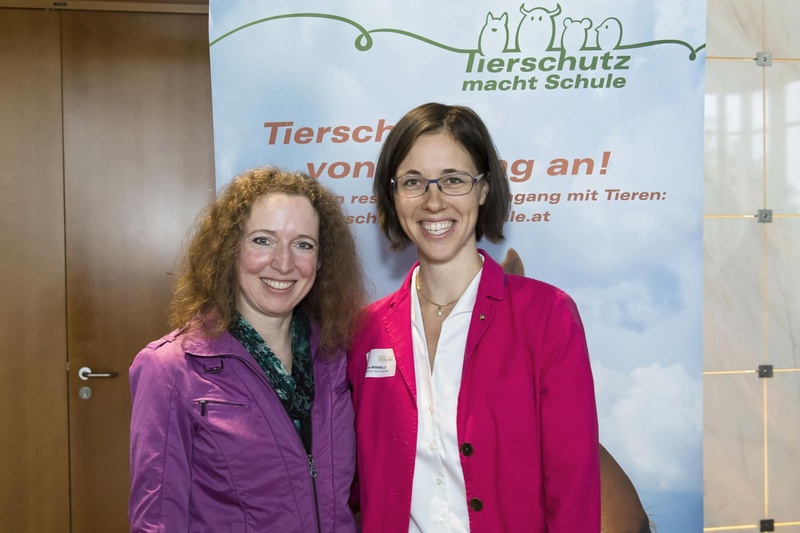 On 15th October 2012, the European Commission’s Animal Welfare Unit invited Monika Hametter as a representative of “Tierschutz macht Schule” to give a talk and take part in a panel during a one-day workshop for teachers from across Europe. The participants discussed the quality and potential applications of DG SANCO’s animal welfare teaching materials. In 2012 our association implemented a project with schools on an international level for the first time. Children from five European countries – Italy, Sweden, Slovenia, Spain and Austria – wrote down and drew what they would like to achieve for the welfare of animals. The result was a colourful poster – a ray of hope and vision of future animal welfare education. The project and the poster were presented to the public during World Animal Day 2013. In 2014 the Eurogroup for Animals invited our association to an important conference in connection with the re-election of the European Parliament. 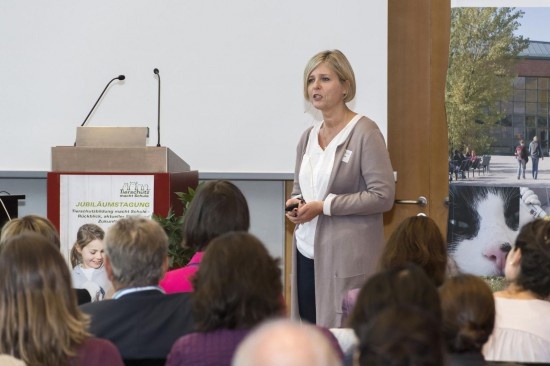 During the event, Marie-Helene Scheib, Managing Director of “Tierschutz macht Schule”, gave a lecture on the particularities of animal welfare education in Austria, important stakeholders in school policy and new developments in the schools’ offering in animal welfare. 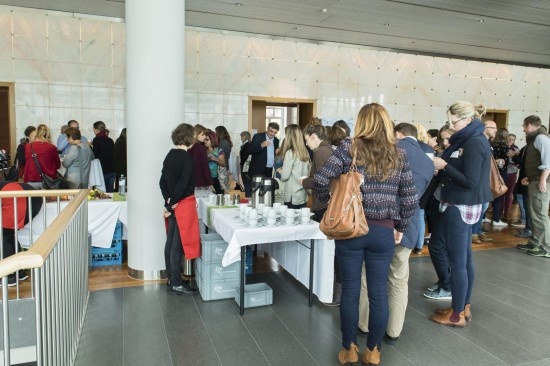 On 29th and 30th April 2015, the Danish Ministry of Agriculture organised a conference on “Improving pig welfare - what are the ways forward?“. 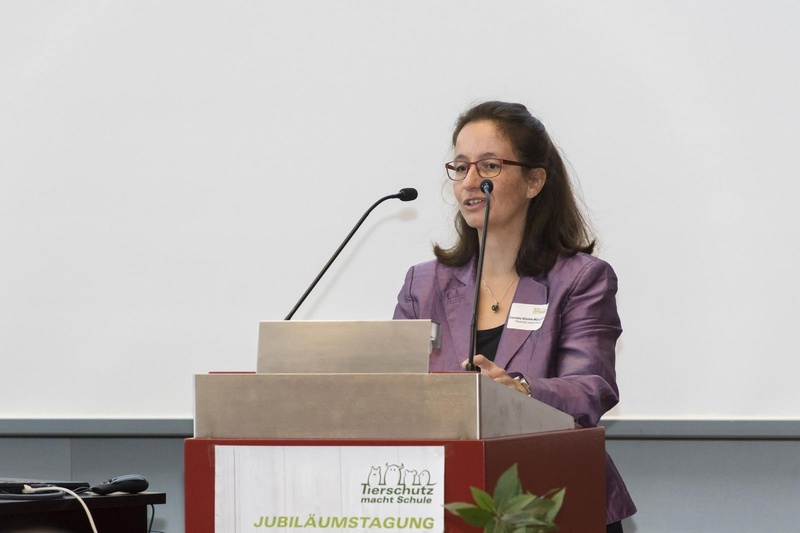 “Tierschutz macht Schule” was featured as a “Best Practice Example“. Educating the public in general and the younger generation in particular is considered as a vital tool to implement animal welfare issues. Children and young people are, after all, the consumers and animal owners of the future. In 2015 our association provided consulting services for other international organisations on various occasions. For the association’s 10th anniversary in 2016, an international conference on the topic “Tierschutz macht Schule: Rückblick, aktueller Stand und Zukunftsperspektiven“ (looking back, current state of affairs and perspectives) was held. 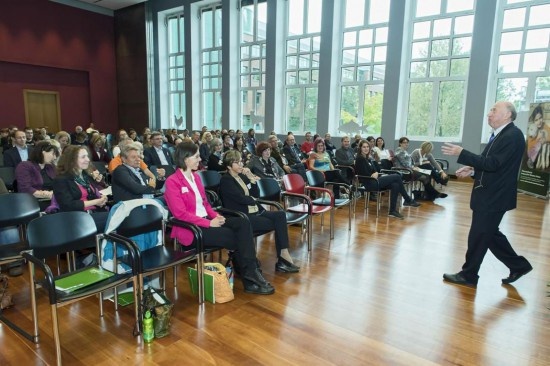 Participants from all German-speaking countries attended and presented international projects. We also held meetings with representatives of other animal welfare organisations such as the Erna Graff Foundation, Kompanima and the Anima Foundation. Associations from other European countries consulted us based on our experience and expertise for sound animal welfare education and invited us to give presentations. Marlene Kirchner, PhD presented "Tierschutz macht Schule" at an international conference in Copenhagen. Our materials are frequently requested and ordered from all German-speaking countries. To increase awareness of our materials, we have launched a cooperation with the German animal welfare association Tierschutzverein Düsseldorf in 2017. The journalist Annette Birch published an article about our work in the Danish magazine "Inges Kattehjem" in May 2017. In September 2017 "Tierschutz macht Schule" attended the 7th International Conference on the Assessment of Animal Welfare at Farm and Group Level in Wageningen in the Netherlands. 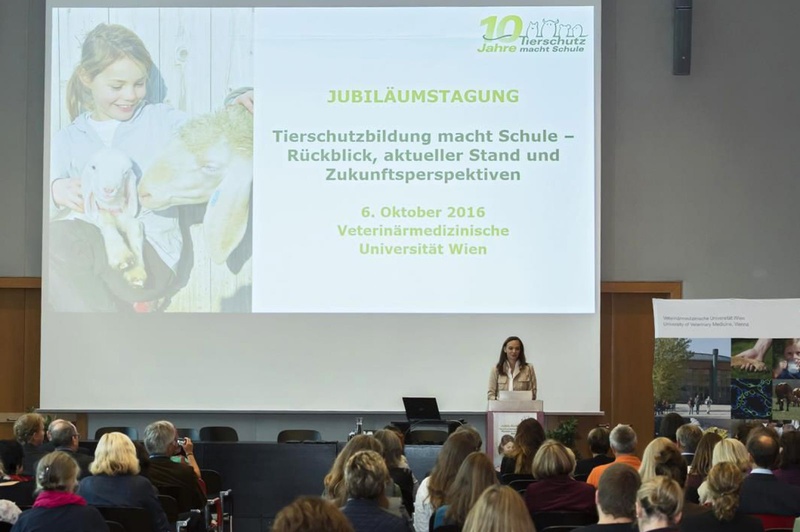 Inspired by our 10th anniversary, a compendium on the evolution of "Tierschutz macht Schule" is currently being prepared. It will be presented at EU level in 2018 and is intended as a model for a successful implementation of animal welfare education. Based on the Austrian experience and expertise, similar organisations could be formed in other countries. 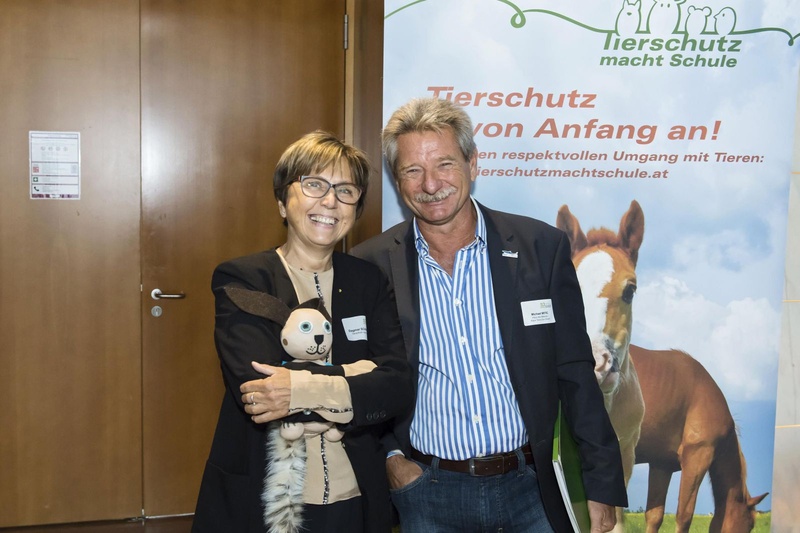 “Tierschutz macht Schule” has been successful in promoting a solid and targeted animal welfare education for many years. Our association is the first port of call for animal welfare issues not only in Austria, but at EU level. The above examples from the last 11 years illustrate the international renown and commitment of our association.